NORTH JACKSON, Ohio — The Jackson Milton Livestock 4-H club met at 7 p.m. March 19. Members taking sheep projects received literature that will help them with buying their project and for studying for the skillathon in the summer. The club members received project books that they will be working on until the Canfield Fair. Candle order forms were passed out to members. The next meeting will be at 7 p.m. April 20 at the Jackson Township Building. CARROLLTON, Ohio — Carrollton Beef Club met at the Carrollton Fire Department with 20 members in attendance. Members discussed the hog raffle drawing date and the ticket cost, quality assurance training and the fee for members. 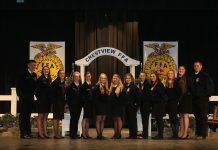 Health and safety talks were given by Lane Hartong on construction safety, Dustin Pape on gun safety, Kyle Barcuss on chainsaw safety, Brittany Poole on horseback riding, Courtney on burn wound safety, Madison on swim safety, Kelly Caris on milking safety and Austin Miller on car safety. The next meeting will be at 5 p.m. May 3 at Johnna’s house. Raffle tickets and money will be collected, a winner will be drawn and a cook-out will be provided. 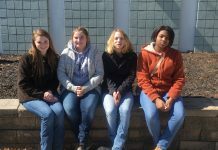 CARROLLTON, Ohio —The New Horizons 4-H club met March 20 with 20 members in attendance. Members were reminded the Carroll County 4-H service fee of $15 is due. Club dues were collected and enrollment cards and the club roster were turned in to the extension office. The club voted on constitution revisions and all club members and advisers signed the constitution and welcomed new members. The next meeting will be at 7 p.m. April 17 at Baxter’s Ridge United Methodist Church. CHAGRIN FALLS, Ohio — Granny’s Kids 4-H club met March 29 at the Kitko’s house. The club elected officers, including Kodi Kitko, president; Evan Parker, vice president; Hannah Amick, secretary and Becky Parker, treasurer. Enrollment forms were collected and project books and market chickens were ordered. The club’s community service project will include working for the Department of Aging and doing yard work for a senior citizen in April. The next meeting is April 26 at the Kitko’s house. TUSCARAWAS, Ohio — The Buckhorn Buckshots 4-H club met at Sharon Moravian Church March 29. Members were reminded their $5 dues are due by June 1 and the club voted to serve the Survivors’ Dinner for Dover Relay for Life Benefit June 5. The members and their parents signed their approval for the club’s by-laws and constitution. Shelby Schupp was selected by the 4-H Extension office to be the 2009 Tuscarawas County representative for 4-H Citizenship Washington Focus in Washington June 21-27. The mandatory dates for market hog tagging are June 12 from 4:30-8 p.m. and June 13 from 8-10 a.m.; market lamb and market goat weigh-in and tagging are June 13 from 8-10 a.m. All tagging will be done at the fairgrounds in Dover. Pictures for dairy goat, pygmy goat, beef feeder calf, beef breeding and dairy must be turned in to the Extension office by June 15. All members taking a market or dairy animal must attend one of the mandatory quality assurance sessions. The sessions will be held April 6 at 7 p.m.; May 4 at 7 p.m.; May 18 at 7 p.m. at Jim’s Place, New Philadelphia and April 19 at 2 p.m. at Jerusalem Church, 1417 Stonecreek Road S.W., New Philadelphia. The Clover Buds members were led by Jeanne Stiles and J.P. Skeen. They learned about maps and traveling. The next meeting will be held at 4 p.m. April 19 at the church. PARIS, Ohio — The Happy Farmerettes and Farmers held its third meeting of the year at the Thouvenin home April 2. Renee Greathouse gave a report on being safe while playing on a trampoline and Brittany Gibson gave a health talk on flossing and brushing your teeth. The club paid for the turkey trophy which will be given out at the fair. Haylee Gallo gave a demonstration on how to make a party punch. Donna Sells was the guest speaker. She talked about and demonstrated first-aid and what you can do to help someone injured while you wait for the paramedics. Members brought items to fill baskets that are going to be donated to the swiss steak dinner. The club is donating three baskets — movie, personal and garden. The dinner will be held from 4:30-7 p.m. April 25 at the Nimishillen Grange, Easton Street, Louisville. To purchase tickets contact the 4-H office at 330- 830-7700. ext. 115. The next meeting will be May 14. 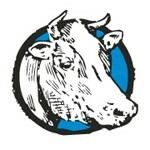 MONACA, Pa. — The Thundering Hooves 4-H club of Beaver County will have its monthly meeting at 7 p.m. April 14 at the Hookstown Fairgrounds. Members can haul their horses/ponies into the grounds at 4 p.m. Open riding will run from 4-7 p.m. Contact Melissa McCorkle at 412-972-0958 with any questions. LODI, Ohio —The Spunky Spurs 4-H club which meets in the Hinckley, Medina and Lodi areas, held a bake sale/rabbit petting area at Tractor Supply Company in Medina. The next meeting will be at a miniature horse farm at noon May 9. For more information, visit http://www.spunkyspurs.webs.com.